For someone who is placing ad on Craigslist for the first time, it becomes difficult to know what to do. Beside creating an account on Craigslist and making some basic settings, all other parts become tricky especially for the one that is new to it. Given the fact that Craigslist is a famed and renowned platform, you can find bountiful of articles on internet about how to place an ad on Craigslist and these are the best source of learning all about Craigslist. This platform allows you to place free ads and socialize your business as much as you can. Now click at “Services offered”. This will open another set of options and you need to go to “Creative Services”. Now you will see a bar where it will be mentioned “Posting Title”. You have to fill in the title of your ad here. Make sure that every time you fill a title, it has to be unique. This is a tip for Craigslist place ad and will keep your account for getting spammed. Whatever text you want to add in your advertisement, you can simply add it into next bar of “Posting Description”. Another tip of caution, never repeat description for different ads. Add e-mail address wherever it is asked. Punch the “Continue” button and you will be then directed towards new screen where you have to fill in captcha-code. Click at continue again. A message will be send at your specified email id and go to your mail and click at Post. As you click there, a message will appear saying “This page may contain secure and non secure items”. Click “YES” tab anyway and proceed further. New tab will appear stating same message of “This page may contain secure and non secure items”. Click YES again. So this was the process on how to place an ad on Craigslist. To make your ads more influential, you can add graphics and images in it as well. 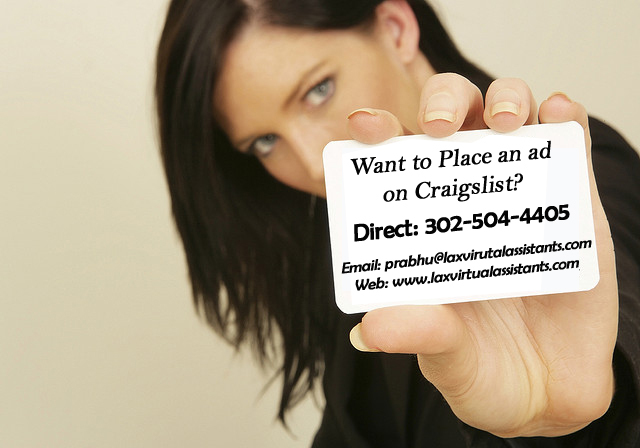 Now when you have learned all about on how to place an ad on Craigslist, you must try it and I am sure that you will surely like it.